Jeeps are the most popular rental vehicle on Maui. That's one of the reasons we recommend booking early. Lock-in your discounted rate and pay later. Rental locations in Kahului, Kihei, Kaanapali and Wailea. The Maui Airport (OGG) is in Kahului. We also offer Jeeps to cruise passengers in Lahaina and Kahului. 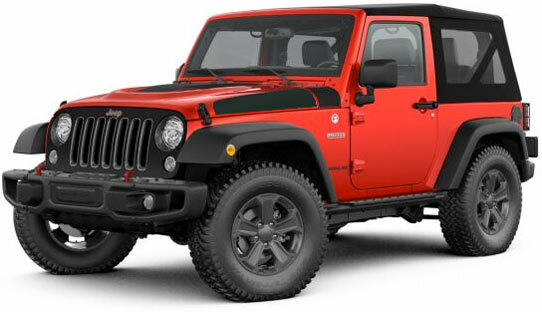 All rentals (2 door Jeep Wranglers and 4 door Jeep Wranglers) include free mileage. 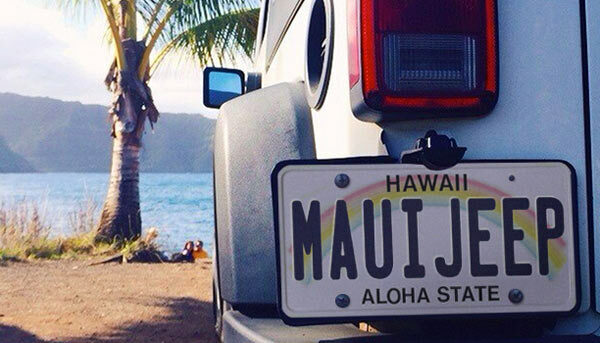 Booking your Jeep for Maui is easy, just use the quick search on this page. Our Jeep Rates include free mileage and often 2 additional drivers for free. Rental form. Can I drive a Jeep on the highway to Hana? Yes, you can drive all of our Jeeps on the Road to Hana. Be prepared to sightsee along the way. Have fun! We negotiate with the large rental companies to obtain the cheap rates. The partnership also allows us to offer the Jeep rental benefits on this page. We at MauiJeeps have answers to the most common Jeep rental questions we have received over the years. Jeeps are not the only vehicles available with removable tops. Have you considered renting a different kind of convertible? Visit Cheap Maui Car Rental to discover the options.